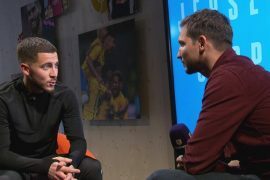 Chelsea defender Cesar Azpilicueta has described his side’s 6-0 thrashing at the hands of Manchester City on Sunday in a damningly honest manner. The Blues were comprehensively outplayed and subsequently slipped down into sixth position in the standings. The thrashing was the West London club’s heaviest defeat since 1991 when they fell to a 7-0 thrashing against Nottingham Forest who were then managed by Brian Clough. The defeat raises questions about the future of manager Maurizio Sarri at Stamford Bridge. 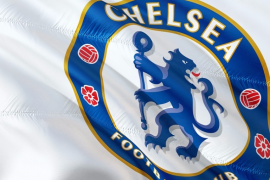 As things stand, Chelsea are set to miss out on Champions League qualification for a second successive season unless they manage to win the Europa League. Sarri was expected to not achieve anything less than a top four finish when he was appointed as manager of the club last summer. Finishing in the top four is still a realistic goal but it will be tough considering that Manchester United are currently in brilliant form and that Arsenal are vastly improved this season as compared to what they were under Arsene Wenger during the past two years. Sergio Aguero who scored a hat-trick and Raheem Sterling where the main tormentors of Chelsea’s defence during the game on Sunday. The England international caused Azpilicueta serious problems due to his pace. The Spaniard has admitted that it was one of the worst games of his professional career. As quoted by The Mirror, he said: “It’s one of the worst nights in my career. “It’s difficult to explain what happened. “The first five or six minutes went well but that is not enough. It is very frustrating and disappointing. We’re conceding a lot of goals and we cannot accept that. When you lose 6-0 we have to accept we didn’t play well and made errors. We knew it would be tough.